I think most young Christian couples struggle with the issue of money and stewardship. We struggle with our first real jobs and first real income. Katie and I have discovered, amazingly, that it took our parents 30 years to get to the place where they are. Crazy talk, huh? How can we expect to get there in 2 years? Now having been married almost eight years we are learning stewardship lessons. This van is my mode of transportation. 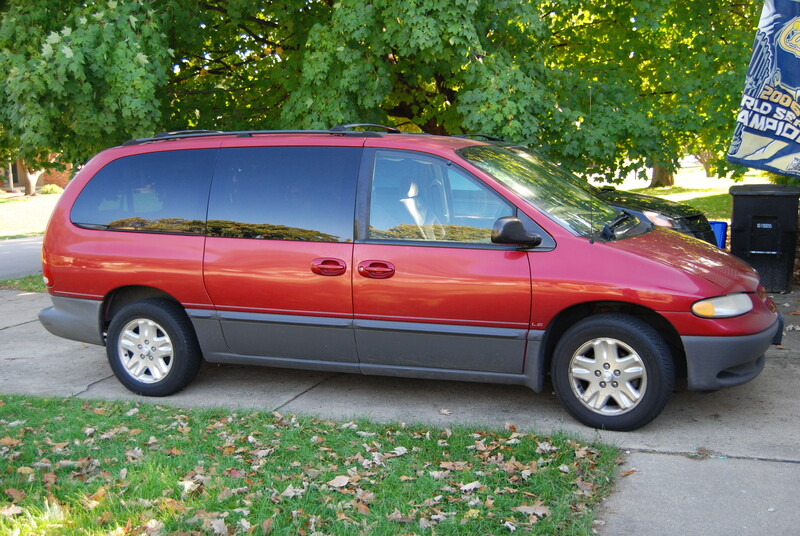 The kids in our student ministry call it the “Ghetto Van.” Why, you might ask? Well, it is a hand-me-down from Katie’s folks and the cloth is coming off of the ceiling. My son Peyton hides stuff in the pockets of cloth that hang down from the ceiling. I noticed this week that my van just rolled over 140,000 miles. Katie and I decided when we got the van that it was time to join so many others in the Junkie Car Club. Following other ministry blogs we noticed this concept. Basically it is this. We pledge to drive our cars until the wheels fall off so that God can use the resources we save for His purpose. We are looking forward to the day when our other car is paid off at the beginning of next year so that we will have even more resources to use for Kingdom purposes. I don’t say this to brag…no way. I say this to encourage others to see a vehicle, not as a status symbol, but as a means to an end. Does it get you where you want to go? If so, who cares what it looks like? ← Video Blog – What is your one compelling idea?